Why can’t they just get along?!? Let’s face it—no matter how nicely your kids are playing one minute, the next minute might bring tears, name-calling and even fights. If you have more than one child, it’s a guarantee—sibling rivalry WILL HAPPEN. But even though sibling fighting is a common occurrence in families, it can be difficult to manage if parents don’t have the right tools. I’ve been a parenting educator for 15+ years and have helped thousands of families resolve their sibling rivalry issues once and for all. There’s nothing more rewarding than seeing your kids playing nicely together, and with the right tools, you can end those sibling feuds for good. (Well mostly for good, anyway!) After all, if the siblings are happy, mama is happy! Try to see it from your kids’ perspective…your oldest child was once the sole focus of your attention. His requests were answered with haste and he didn’t have to share his time or toys with anyone. Then, his sister came along—a stranger to him, for all intents and purposes—and now mommy is slower to pour his milk because she’s feeding baby, and he has to wait for daddy to finish changing baby’s diaper before they can play with Legos together. As the kiddos get older, they vie for the same toys and as younger sister becomes more independent, she gets tired of being bossed around by big brother. To put it another way, how would you feel if your spouse brought home someone else and expected the two of you to get along? Because young children aren’t able to express these frustrations verbally, they do so by misbehaving—refusing to share, hitting, pushing, yelling, etc. How Can I Stop Sibling Rivalry from Happening? While you can’t stop sibling rivalry entirely, you can reduce its frequency. This means less yelling from the next room and more peace in your home! We live in a society that thrives on categorizing people—we want to know who’s smart, who’s popular, who’s successful, who’s athletic, who’s musical, who’s talented, etc. Labels help us categorize things. But when it comes to our kids, labels (intentional or unintentional) dramatically increase the competition between siblings. Think about it, when we talk about our “athletic one,” “the good eater,” “smartie,” or even our “wild child,” we inadvertently draw comparisons between our kids. When we refer to one child as the “athletic one” the other child automatically thinks “I’m not the athletic one” (so why even try) or when one child is a “good eater” the other assumes she must not be. If I wear the “wild child” crown, you can feel very superior as the “well behaved” or the “easy going” kid. By labeling our children, we unintentionally shelve kids into one role or another—whether they like it or not–and create comparisons between siblings. The good news is, when we ditch the labels, we give our “not-so-athletic” child a chance to shine even if she’s not a star. We give the straight-B student the opportunity to be proud of her hard work. And we give the “wild child” a chance to do the right thing. 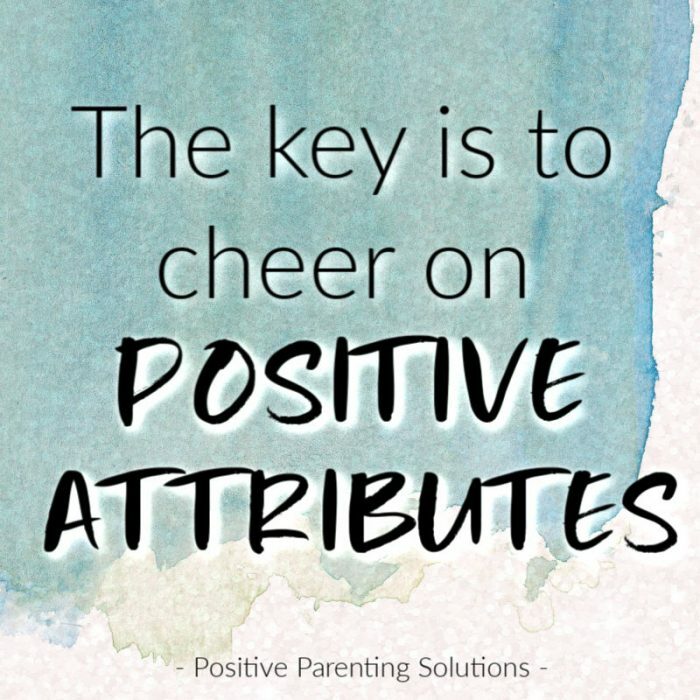 The key is to cheer on positive attributes, such as teamwork, persistence, and kindness. Siblings can then root for each other instead of competing for their parents’ approval. One of the key reasons kids fight is to gain their parents’ attention—in their eyes, even negative attention is better than nothing. To satisfy your kids’ need for attention, plan on giving each child at least 10-15 minutes of kid-centered, intentional attention every day. Here at Positive Parenting Solutions, we call this Mind, Body and Soul Time because it has incredible effects on the health of your child’s mind, body, and soul. By kid-centered, I mean your child is in control of the 10 minutes—they call the shots. Listening to their favorite music with your teen? By intentional, I mean no distractions—put down your phone, don’t answer that email, turn off the show you’re watching. Your child is the center of your universe for these 10 minutes and it’s critical you are fully present for your time with her. Your child will benefit from knowing you’re committed to your time, plus you’ll get credit in his mind for time well spent. By giving each child this special time, you will increase feelings of emotional connection and proactively fill her attention bucket with POSITIVE attention so she doesn’t have to resort to fighting with her sister to get your (negative) attention. Note: For Positive Parenting Solutions Members, revisit Session 1 to learn more about Mind, Body and Soul Time and check out the advanced module “The Busy Parents Guide to Mind, Body & Soul Time” for extra help. When sibling fights occur, many parents use time-out as a way to diffuse the situation. While sending kids to separate corners might give them an opportunity to calm down, time spent in the corner will not teach the child how to resolve conflict. Controlling their temper: Kids aren’t always ready to discuss their feelings immediately after a fight, so teach them coping skills to diffuse the situation until they are ready to talk—walk away, count to 10, take deep breaths, etc. By giving your children the tools and strategies to resolve conflict on their own, you’ll notice a drastic decrease of sibling arguments in your home. This one might surprise you, but do you know the best thing you can do when a disagreement starts to brew? Ignore it. That’s right, go find something else to do in another room. Don’t give the squabble any attention. By ignoring the tussle, you don’t reward negative behavior with your attention and most importantly, you give them a chance to work it out on their own. If the fight escalates into a physical throwdown or you REALLY feel like intervening is necessary, you can use the next two steps to guide your interactions when you do get involved. If your kids clearly can’t reach an agreement, or if the fight escalates, you might have to step in. Whatever you do, don’t take sides. You might think you heard or saw what started the argument, but don’t place any judgment on either party. Instead, once everyone is calm, listen to each child’s version of what happened and encourage them to use “I feel” statements as they tell their story. Then, without placing blame or taking sides, ask them to come up with some solutions together. If no one is able to come up with a workable resolution, suggest a few yourself, and help them reach an agreement. 6. Put them all in the same boat. If, after hearing both sides and attempting to find a solution, your kids still can’t agree, it’s time to put them “all in the same boat.” That means everyone involved in the argument experiences the same outcome or consequence. An “All in the Same Boat” statement would sound like this: “Either you can take turns with the game, or I will put it away for the rest of the day.” Then follow through. Note: For Positive Parenting Solutions Members, review Lessons #37-43 in Session 5 for a comprehensive step-by-step plan to resolve sibling rivalry and teach conflict resolution skills. Be patient with your kids as they’re learning these new strategies. Remember that conflict resolution is a very advanced skill set. (You probably know adults who still struggle in this area!) But rest assured, with these strategies in place, you’ll be able to keep sibling rivalry and fighting to a minimum. And, don’t be surprised if other issues pop-up after sibling rivalry is under control. The truth is…kids are constantly looking for ways to get your attention and assert their power, so you might notice mealtime drama, tantrums, backtalk and homework battles flare up even while the siblings are living in (mostly) harmony. If that’s the case for your family, I’d love for you to join me for a FREE ONLINE CLASS. I’ll teach you how to get your kids to listen without nagging, reminding, or yelling. Plus, I will tell you more about the online parenting course I teach that will help you solve any parenting issue you may face from the toddler to the teen years. 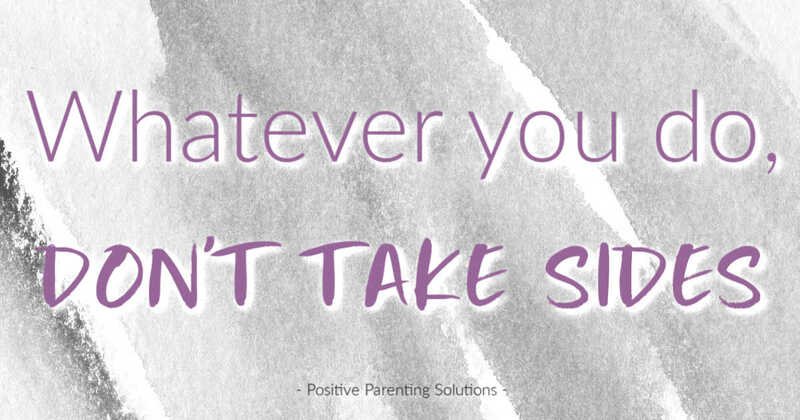 With our online parenting course, you’ll learn WHY kids misbehave in the first place, what you might be doing to contribute to the problem, and more than 37 tools and strategies to help you put a stop to your kids’ most frustrating misbehaviors. Wishing you peace and joy on your parenting journey!